[SatNews] Ramping up for the upcoming IBC2014, this Company will not only be demonstrating new satellite antennas, but offering free classes to ensure those investing in their equipment are obtaining the best service and reception. C-COM Satellite Systems will be displaying the Next Generation, one-button auto-acquire antennas at IBC 2014. C-COM engineers have been busy developing smaller, lighter, more robust products that are built to endure in the most challenging environments. 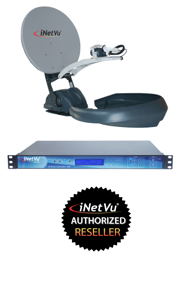 Preview the Next Gen iNetVu® FLY-98 and the 981 antennas and controllers at our booth #4.C55. 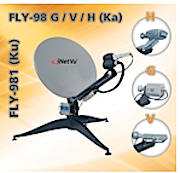 The iNetVu® FLY-98G Flyaway Antenna is a 98 cm satellite antenna system which is a highly portable, self-pointing, auto-acquire unit that is configurable with the iNetVu® 7710 Controller providing fast satellite acquisition within minutes, anytime anywhere. It can be assembled in 10 minutes by one person. The antenna is convertible from Ka- to Ku-band, and vice versa. - Ideal for applications such as Broadcasting, Emergency Response and many others. Those looking for a Ku-Ka product, the versatile and compact iNetVu® 981 Driveaway Antenna is the ideal solution. Built either in Ku- or Ka-, the unit is upgradeable and swappable to either band. This 98cm Ku-band auto-acquire system can be mounted on the roof of a vehicle for direct broadband access over any configured satellite and works seamlessly with the iNetVu®7024C Controller providing fast satellite acquisition within minutes, anytime anywhere. Last Chance to Book your seat for training at IBC on September 15-16th. Seats are VERY limited and are available on a first come first paid basis. The 2 day training session includes a catered lunch for both days as well as your iNetVu® Official Integrator Certificate following completion of the class. We welcome you to our lovely city for certification training, facility tour, meet our staff, and much more! Please reply to dklein@c-comsat.com and reserve your seat today.